Do you need a reminder of the tremendous importance of what you do as a camp director? Whether your answer is yes or no, I encourage you to read Michael’s story. 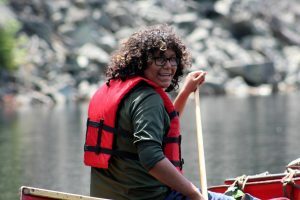 At thirteen, Michael, an indigenous teen from Parry Sound, Ontario, attended camp for his second summer with assistance from the Kids in Camp charity. Here, in his own words, is Michael’s story. Michael on a canoe trip at camp. Hi, I am Michael. I am 13 turning 14 in September. I live in Parry Sound, Ontario and I am in grade nine. I used to live on Bear Island that is one island away from the summer camp I got funding for. Bear Island is a small community that was fun to live on. Going to camp this year was like going home. My camp is a canoe trip camp and you learn how to make campfires, chop wood, and cook on a fire. There are other things you can learn as you get old enough to do it, being a stern in a canoe, and doing higher levels of rapids. I made so many friends this year, like people from America (mostly from Ohio) and I saw my friends. On my group’s first seven-day trip, we went to the second highest point in Ontario, Maple Mountain. 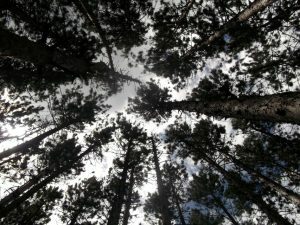 My second trip was down the Temagami River, and my last trip was for 21 days, which was up to New Liskeard and then down to Wanapitei Lake – that’s near Sudbury. Then on our way back to camp we went cliff jumping- that’s when you jump off cliffs into the water- and my staff jumped off a waterfall and it was awesome. This summer I learned a lot about how to carry a canoe, and also to stern the canoe. That made me lose a lot of weight and gain muscle. I have never been in better shape, ever. Camp is important to me because over the last two years I have been in a bad place with my friends. I think I would have gotten into a lot of trouble this summer if you guys didn’t give me the money to go to camp this year. At camp I am with kids that don’t get into trouble because we don’t have time to get into trouble. My summer was so fun and I thank you for making this happen for me. The Criminal Conviction Update Backlog – What is it, What are the Causes and Will it Ever be a Thing of the Past? Sterling Talent Solutions has posted a blog article that may be of interest to Canadian camps. Visit their website to learn what the Canadian criminal conviction update backlog is, what causes the backlog, and will it ever be eliminated for filing criminal records. 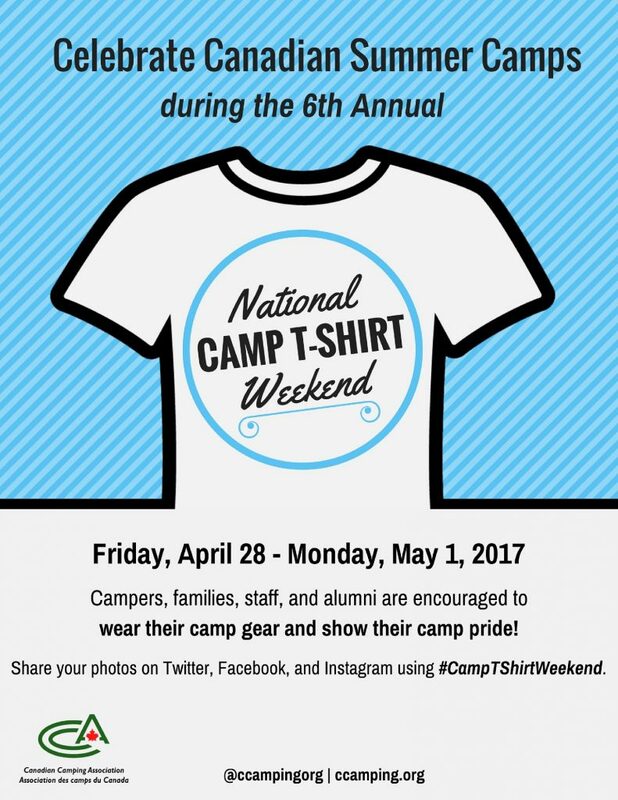 Thousands of Campers Are Doing It! 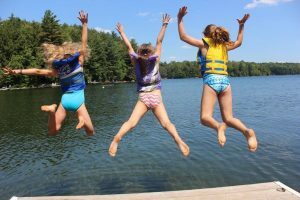 In 2016, twenty-six camps across the country and thousands of campers participated in the Summer Camp Bondar Challenge. With direction form trained staff (training material available online), they took their cameras outdoors to explore, observe, appreciate, and photograph nature. Include this great program at your camp this summer! Barb Weeden, Executive Director of Sparrow Lake Camp writes: “I am so thankful I got to attend the ICDC at Camp Tawingo in November 2016. It was so wonderful to spend time with other like-minded camp professionals for an extended period of time. This course confirmed for me that I can never stop learning and networking! It is so important to keep up with the issues and trends the industry is facing and also share openly with your camping peers. I wish I had the chance to take this course when I was first starting out. It covered every aspect of our responsibilities. We even got to start our own camps and present our business plans to “camp investors” on our last morning! CCA intends to offer an International Camp Directors Course in 2017. Information will be publicized when available. In the past six years, on three separate occasions, Ted Lockie (Manager, Camp and Youth Programs, Western Canada, Canadian Diabetes Association) received a request from parents asking him if he would register a transgender camper. Ted shares his experience. When Lockie was asked to register a transgender camper, he did not hesitate. Ted simply asked the parent to identify whether their child chose to live in a female or a male cabin. In all three cases, a female was transitioning to a male. Ted was confident that the child would not behave in any way to make the cabin mates uncomfortable as that would be difficult for themselves as well. In most cases, the other campers were unaware of the gender change. Only the camper’s counsellor and the medical staff were informed. In Ted’s experience, no problems arose and he received no negative feedback from other parents. He states, “It is not a problem; don’t make it a problem.” Ted is a millennial and completely comfortable with the situation. He speculates that older camp directors may be less at ease because they have had less experience with transgender youth. He considers that the issue may be more of a challenge for those with strong religious beliefs that do not accept gender change. 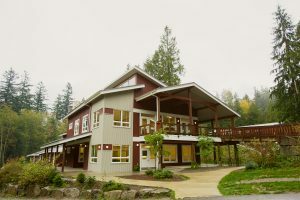 Ted believes that because camp is an inclusive, accepting, supportive environment, it is a great place for transgender youth to learn how to navigate society. They become accustomed to using a different washroom, have the opportunity to play on a different sports team or even start talking about the changes that they are experiencing.